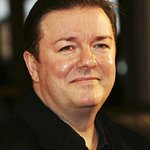 British funny man Ricky Gervais has revealed that he has joined a very special star for a new charity ad. The comedian has posted a blog in which he says he has recorded the ad with Pink for PETA. Gervais is no stranger to charity work. 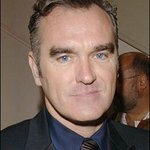 Last year he appeared in the 2nd annual Stand Up for Heroes: A Benefit for the Bob Woodruff Foundation, and has also been involved in benefit shows for the Teenage Cancer Trust. He also committed the profits from a series of 2006 warm-up shows for his 2007 stand-up comedy tour to Macmillan Cancer Support. The new ad sounds intriguing… be sure to check back to Look To The Stars and we’ll let you know when it’s shiny enough to be released.